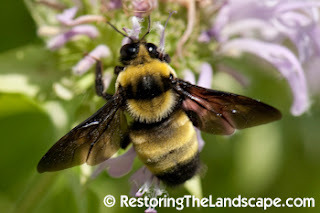 The native plants in our landscape attract many different Bumble Bee species. 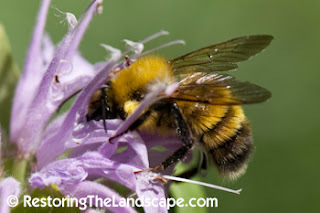 Here are just a few of the species I photographed (and have hopefully correctly identified) in our yard this season. The Black & Gold Bumble Bee (Bombus auricomus) is one of the largest bumble bees we have in the upper midwest. 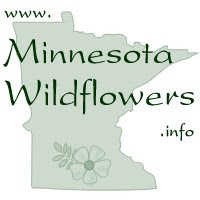 This season, they have been spotted on our Wild Lupine, then Wild Bergamot and now their preferred native plant is Tall Larkspur. 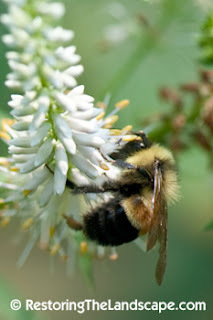 Tricolored Bumble Bee (Bombus ternarius) are much smaller in size, with two distinctive dark orange bands. A similar looking species is Bombus rufocinctus. 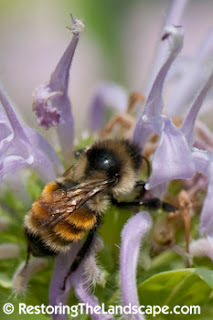 The Perplexing Bumble Bee (Bombus perplexus) also likes the Wild Bergamot. 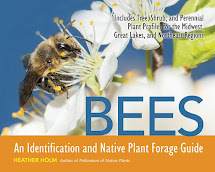 Native plants play an important role in helping Bumble Bee populations. 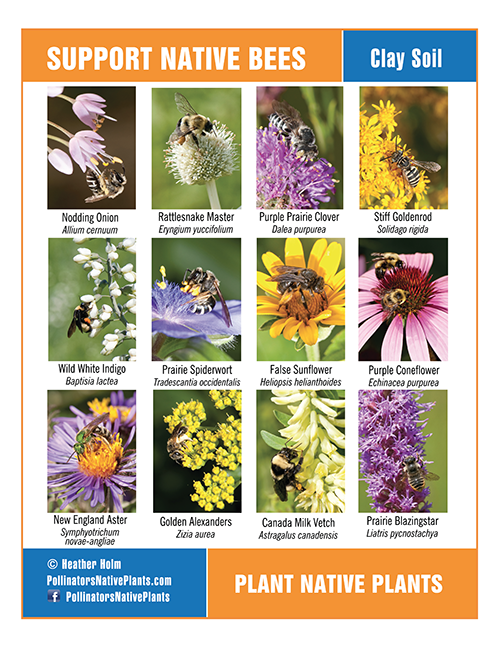 Select regionally appropriate native species favored by Bumble Bees, create more Bumble Bee friendly habitat and don't use pesticides in your landscape.